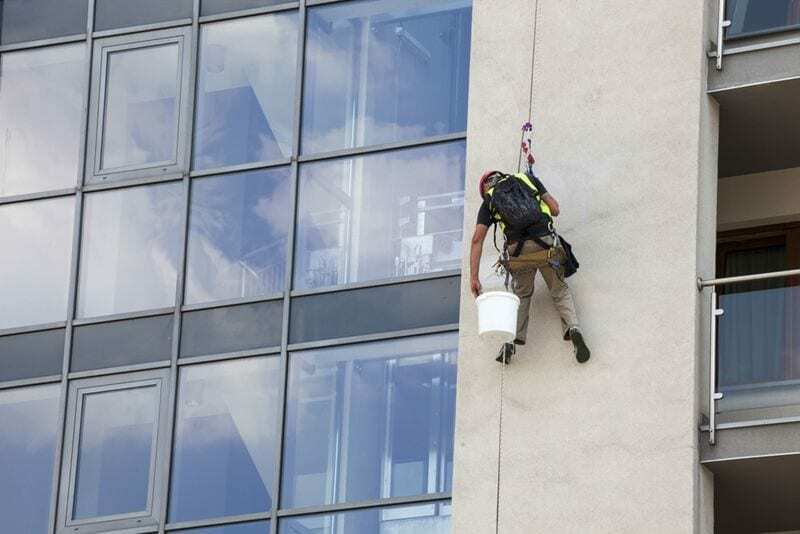 Harnesses and lanyards are some of the most common fall arrest systems available. Suitable for many applications, these assets work in conjunction with static line systems to provide comprehensive height safety solutions. That’s why it’s so important for you to assess harnesses and lanyards for any defects before using them. A defect with one of these wearables can compromise the effectiveness of an entire safety system. There are several elements you must review to ensure harnesses work properly. Safe Work Australia noted that fall restraint systems based on static lines, harnesses and lanyards are secondary options compared to physical barriers. Straps: Grasp the webbing with both hands, spacing them about 15 to 20 centimetres (cm) apart. Bend the straps into ‘U’ shapes. This will help you pick out any tarnished fibres or cuts that could compromise the straps’ strength. D-Rings: Look over your D-Rings for cracks, rough edges, breaks or any signs of deterioration. Be mindful that these components should not be able to move freely. Tongue buckles: These parts should be mobile within the confines of their sockets. They shouldn’t be twisted or distorted. Buckle attachments: It’s critical to identify any fraying or wear around buckle attachments. Pay close attention to the stitching. In addition, inspectors should look over the grommets and mating buckles for signs of deformation. Don’t forget to inspect harnesses before using them. Is the fabric showing any discoloration or fraying? Are the cable lines snapped or slightly shredded? Are any of the attachments or clips bent or chipped? While these questions cover the basics, S&W took a deeper look at some of the signs you should be aware of. For example, corrosion will compromise the functionality of the lanyard, depending on the extent of the rust. Also, you should be cognisant that the keeper spring expresses enough support to close the keeper. Lanyards and harnesses are just two components associated with Anchor Point Systems. Consult our experts to learn how you can comprehensively review these solutions for any possible defects.